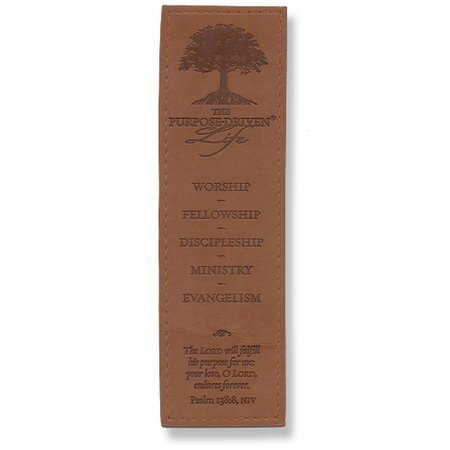 Five keys to the life of purpose are debossed on caramel leather bookmark with tree logo accent. Designed to coordinate with the bestselling book The Purpose Driven Life by Rick Warren, this will hold your place as you work through each chapter. 7" x 2", with explanatory card, sleeved in clear vinyl. The Lord will fulfill his purpose for me; your love, O Lord, endures forever. Psalm 138:8.